A Rubgy tribute for a champ. A traditional wreath ring arrangement with colour co-ordinated roses, spray roses and foliages. 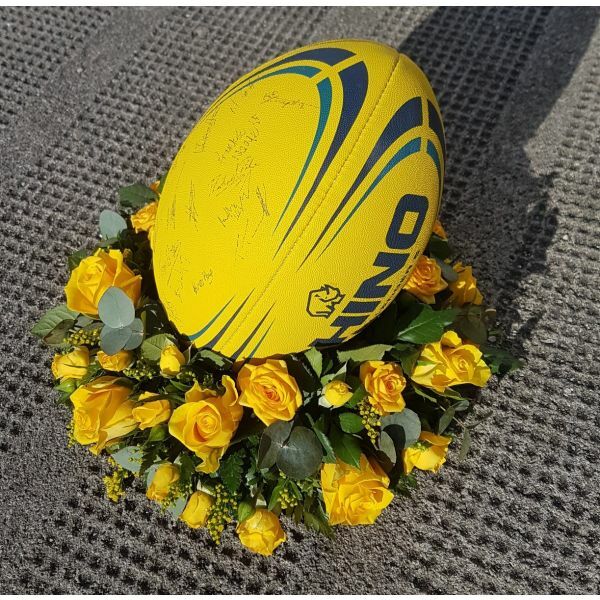 Please note Rugby Ball may vary to that shown, but one that compliments your chosen colour scheme will be used. Approx finished size 18 inches / 45cm diameter.